Investigators have identified the alleged sponsor and mastermind of Friday’s massacre in Paris. He had direct contact with the terrorists, media report. The suspect is believed to be a Belgian national and an active Islamic State executioner in Syria. Abdelhamid Abaaoud, 27, financed and organized the attacks and the explosions in the French capital, RTL radio said, citing investigating authorities. The report added that Abaaoud was the “butcher” of the Islamic State group and had carried out several grisly executions. Abaaoud is said to be from the Brussels suburb of Molenbeek, notorious for being an Islamist hotspot. This is the same area where another suspect in the Paris attacks, Salah Abdeslam, was raised. Abaaou’s nationality and citizenship is as yet unclear. RTL says he is a Belgian national and the local DH newspaper reported that he may be of Moroccan extraction. In January, Abaaoud’s name was mentioned in a series of planned attacks across Belgium. Later, he appeared to be the sponsor of that terror campaign. According to DH, he was one of the leaders of terrorist cells in the town of Verviers, near the Belgian border with Germany. Abaaoud’s cellphone is reportedly Greek. According to an investigation carried out earlier this year, his trail was lost in Greece and since then has gone cold. It also turned out that two identified terrorists behind the Paris attacks, both Syrian nationals, entered Europe through Greece several months ago. Belgium, along with France, has recently carried out numerous anti-terror raids to track down people suspected of being linked to Friday’s attacks, which killed at least 129 people and wounded 352. 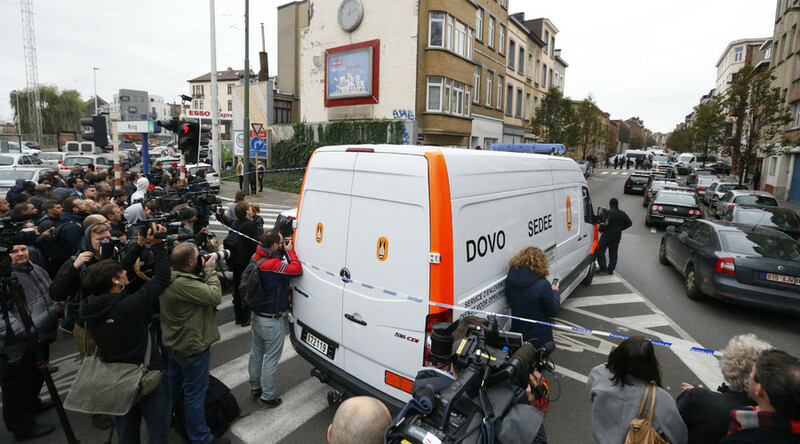 On Sunday, Belgian police arrested seven people in the Molenbeek area of the Belgian capital, who are suspected of being connected to the Paris massacre. The mayor of the district earlier acknowledged that Islamic radicals use the neighborhood, almost entirely populated by Muslims, as a convenient transfer point on the main crossroad point of the continent.